Just confirming this: If i use the search on GSMArena.com and tick 850mhz UMTS will this show compatible handsets? I know theres the list, but most of those mean nothing to me, pictures and being able to select features means a lot more. Also i'd like to make the suggestion that XT be added as part of this forum name. eXDee: Just confirming this: If i use the search on GSMArena.com and tick 850mhz UMTS will this show compatible handsets? 11.Where can I roam with my XT Network handset? Everywhere. Telstra, the largest 3G network in Australia, runs on 850MHz. The AT&T Wireless 3G network service in the U.S. runs on 850MHz. And in Europe and other countries your device will connect to 2100MHz. Also handsets sold by Telecom New Zealand will be 850/2100MHz WCDMA and also 850/900/1800/1900MHz GSM (quadband). This means they will roam to a over 206 destinations. can i put a vodafone sim in the phone and use it on gsm? I don't think the Telecom phones are locked. No the devices will not be locked. Good FAQ.. I read here http://www.stuff.co.nz/technology/1754613 that Telecom's CDMA will go LTE in the next few years. Any update?? Telecom will not be evolving thier CDMA network to LTE. The article has misquoted the Telecom executive. The context was that LTE is the evolution for both WCDMA and CDMA technology streams. NealR: The article has misquoted the Telecom executive. Will the telecom XT simcard work in vodafone phones? I know it wont give me hi-speed on the vodafone, im not stupid, just curious as their prices maybe better or something. westwardho: Will the telecom XT simcard work in vodafone phones? You cannot connect to the Vodafone network using a Telecom sim. You should be able to use some phones that Vodafone currently have on the new Telecom network by using a Telecom sim. 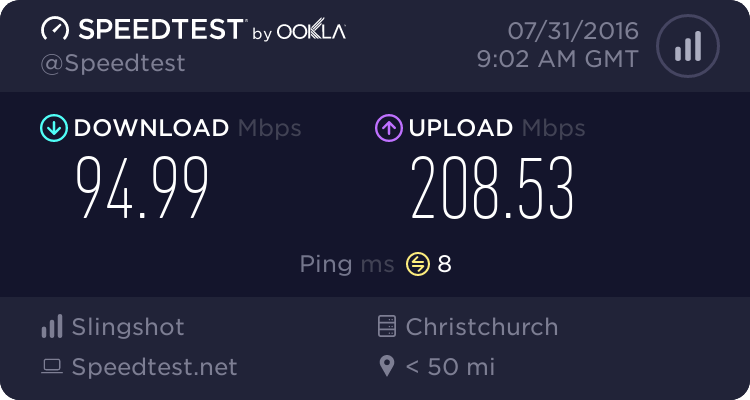 Vodafone is using pretty much the same technology so you should be able to get the same speeds on Vodafone. Yes, see question #8. Vodafone handsets are not locked. westwardho: I know it wont give me hi-speed on the vodafone, im not stupid, just curious as their prices maybe better or something. You can only use the Telecom SIM card on a Vodafone handset that supports 3G WCDMA 850MHz (for example the Apple iPhone 3G) otherwise it won't connect to the Telecom network. If the SIM card works and your handset connects to the Telecom network then you will get high-speeds. I think that #37 has an error, (not sure though). I do not believe that prepaid customers are eligible for handset vouchers as they are not in any sort of contractual arrangement, as is suggested by the information that is posted. I believe those vouchers are eligible only to postpaid (people on contracts or going into contracts). Given that my contract has just expired on the Sierra 595 Data Card I have been using for the past couple of years, what do you recommend as a replacement for use with the XT Network and connected via a USB interface rather than a card slot? I guess I am asking for the equivalent of a T-Stick which is compatible with the XT Network. Any suggestions?